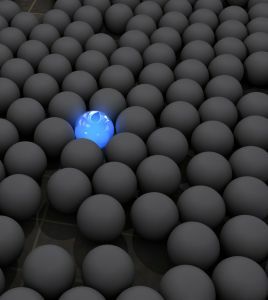 stand out from your competition. Jax SEO Works helps entrepreneurs and small businesses get the most out of their website through online advertising and digital marketing. We help you improve your website to bring you more website visitors, more customers, more business with a website that performs! We use “White Hat” SEO Practices, and we follow the Google Webmaster Guidelines, because Google is the most successful search engine business on the Internet. We work with you to improve your website. We use a variety of tactics to help you, including website Search Engine Optimization, developing your basic Social Media knowledge to help you build your business, and also SEO-Optimized online Press Releases to get the word out about big events for your business. Rock My Image provides digital marketing planning, marketing strategy, and revenue stream development help for entrepreneurs. Key Theory,LLC is an experienced Jacksonville Web Design, Social Media & SEO Resource. And having well-developed social media presence on sites like Facebook, Twitter, and LinkedIn can help you increase your business by interacting with customers and other businesses. Whether your small business is located in Jacksonville, Jax Beach, Middleburg, Green Cove Springs, Orange Park, Ponte Vedra, Fleming Island, or even Saint Augustine, Florida area, Jax SEO Works can work with you to help improve your small business website. Learn more about our Search Engine Optimization (SEO). Learn more about our basic Social Media for business. Contact Jax SEO Works now!